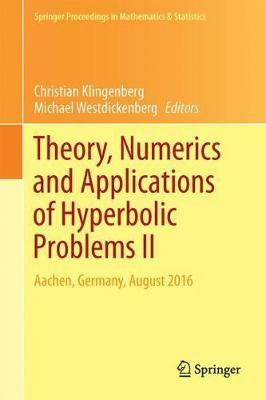 The second of two volumes, this edited proceedings book features research presented at the XVI International Conference on Hyperbolic Problems held in Aachen, Germany in summer 2016. It focuses on the theoretical, applied, and computational aspects of hyperbolic partial differential equations (systems of hyperbolic conservation laws, wave equations, etc.) and of related mathematical models (PDEs of mixed type, kinetic equations, nonlocal or/and discrete models) found in the field of applied sciences. Illustrations note 92 Illustrations, color; 28 Illustrations, black and white; XV, 714 p. 120 illus., 92 illus. in color. Chapter 92: Philip Roe: Did Numerical Methods for Hyperbolic Problems Take a Wrong Turning?